Demanding respect in your kingdom takes more than a little bit of confidence, gusto, and croquette set. 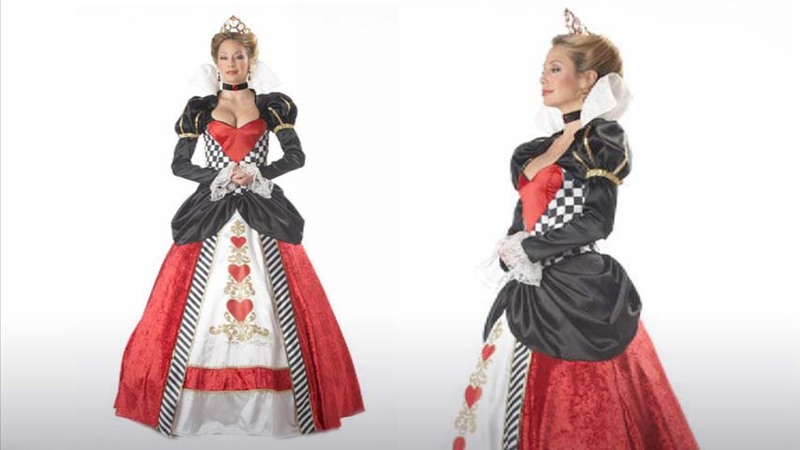 It also demands a beautiful dress. 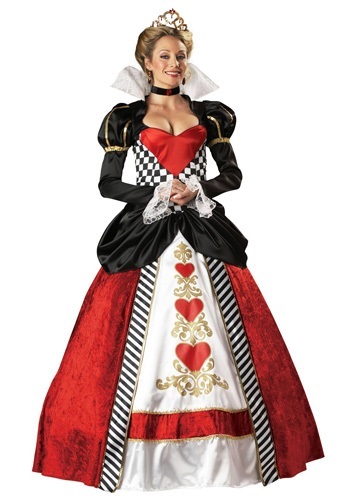 And man, did the Queen of Hearts know how to wear an elegant and head-turning dress! She may not be the nicest storybook character ever – heck, she’s probably one of the nastiest. I mean, cutting off people’s heads just because they disagree with her? That’s pretty cruel. But you have to hand it to her: she did have a unique style about her and knew enough about fashion to have the Hatter help her out with new hat designs. Behind that evil façade I’m sure there’s a softer side to the Queen, but I doubt we’ll see it anytime soon! very authentic. will work for any costume gathering.